Very Exciting and Unbelievably Touching When Family Is Traveling to Get a New Labrador Puppy. They are preparing and planning. And every family member is excited and in anticipation. Then finally the day when the puppy is supposed to be brought home is here. 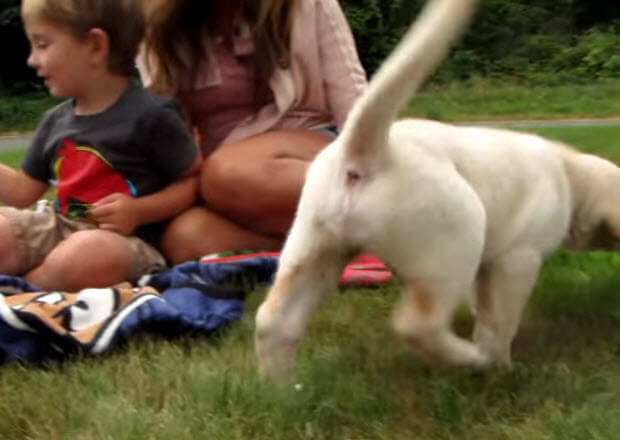 The whole family is traveling to the farm where they will be picking up their awesome new family addition – labrador puppy. A family is driving to the farm in Washington where they will spend a day, have some fun and get their new family member.